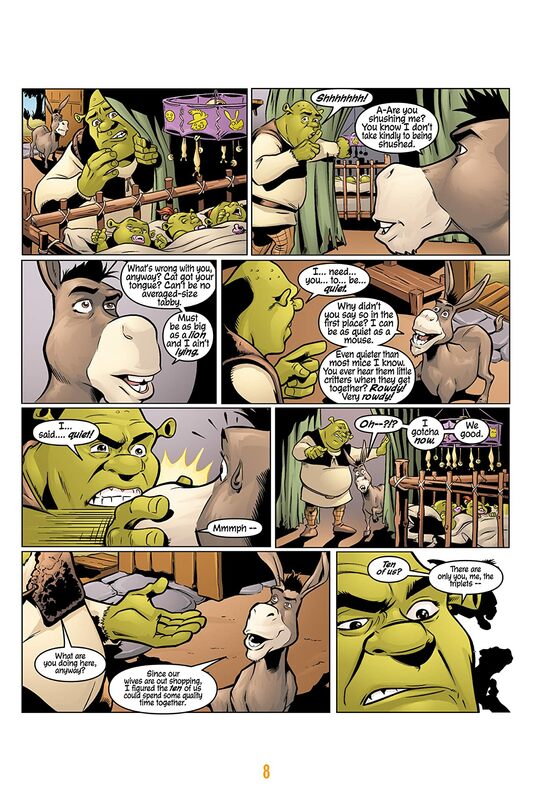 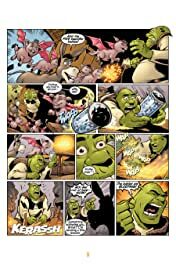 From the hit movies to the comic pages, Titan presents classic DreamWorks tales starring Shrek and the Madagascar gang! 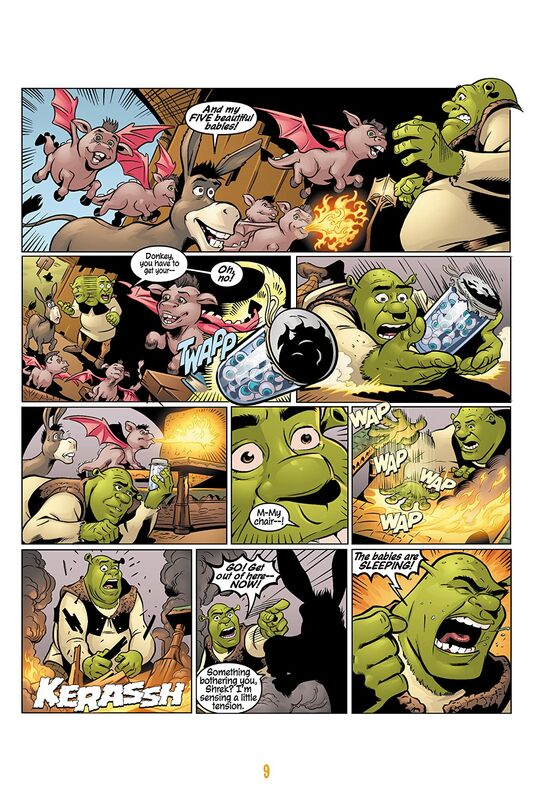 Shrek faces a bunch of Trolls and then takes part in a pie-eating contest (against Fiona, no less!). 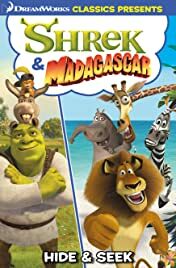 Meanwhile over in Madagascar, the gang try to build a new house – with disastrous results – and then they go to a party at Prince Julien’s!